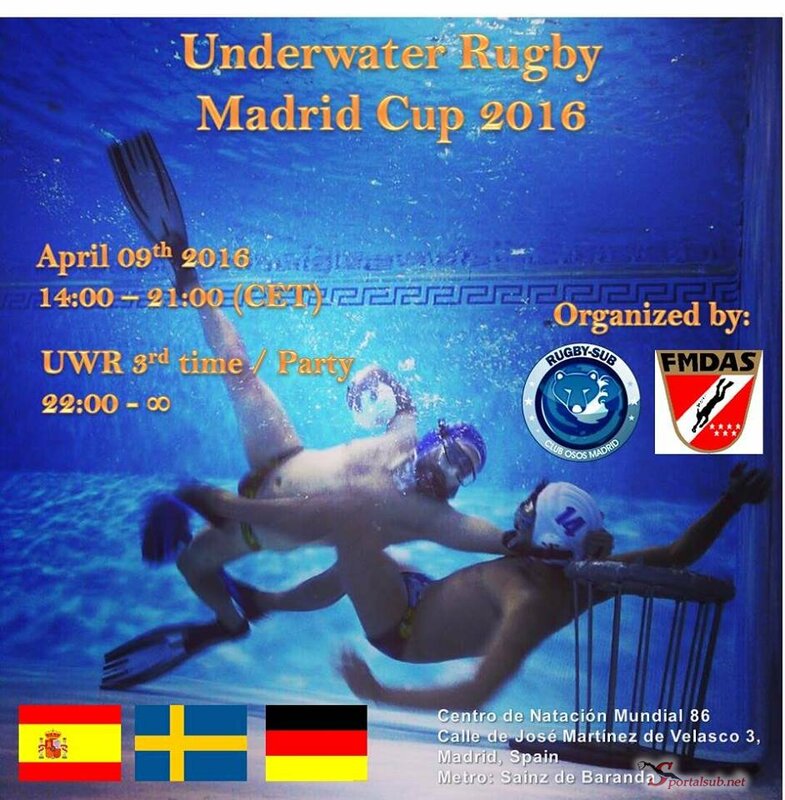 Club Osos Madrid Rugby Sub proudly invites you to the UWR Madrid Open 2016. The tournament will take place in Madrid, 9th/04/16, at Centro de Natación Mundial 86 (also known as M – 86). 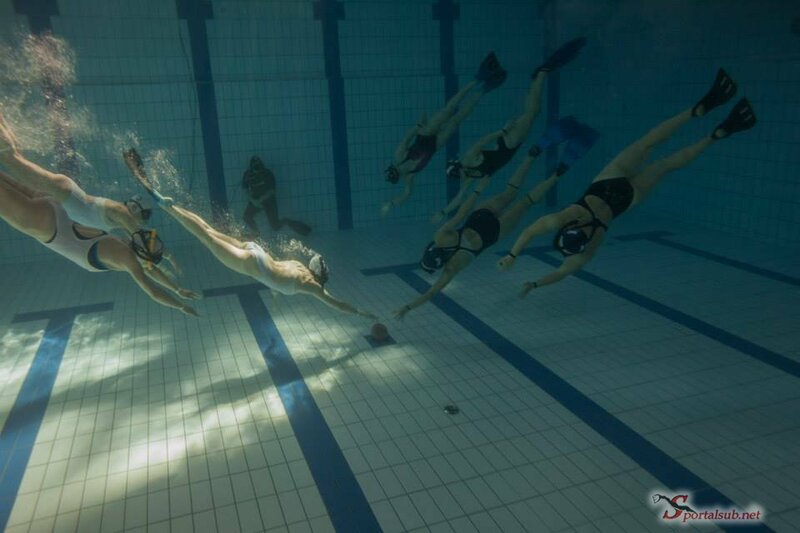 The competition will be held in a 25,00 m. long, 16,00 m. wide and depth 5,15 m. indoor pool. Playground will be reduced by means of temporary lanes to 16 m. long, 12 m. wide. The Cup will be played in female and male category. Minimum number of female and male teams to carry out the Championship is 5 by category. The main game schedule will be from 14:00 – 20:00, with the possibility of extending it until 21:00, all depending on the number of participants. Game time is approximately 12 min. ineffective (depends on number of teams), and a minimum of 4 games per team is guaranteed. The final game schedule will be sent out by e-mail to the contact person for each team. UWR rules of CMAS will be applied. A tournament fiesta will take place to celebrate the UWR tournament spirit. Participants may be asked in advance to confirm their assistance. 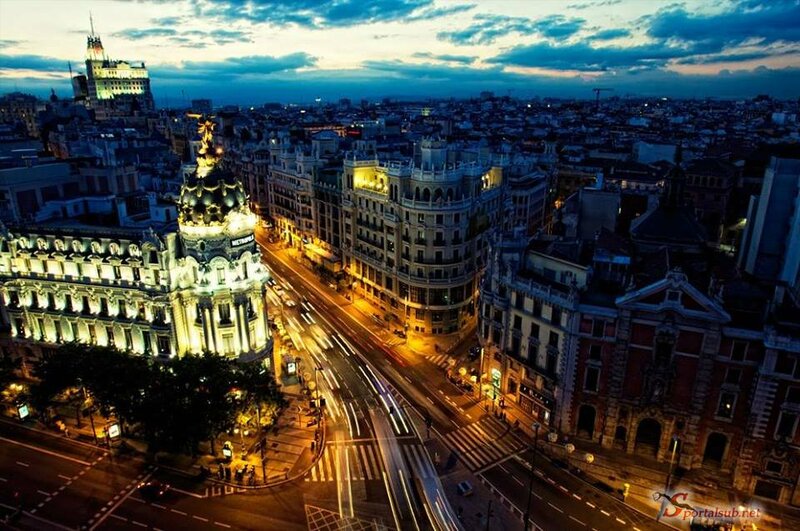 The tournament is performed during a local fairy weekend, so is an ideal time to visit Madrid and its nightlife. The interested teams have to send a comfirmation email before 15/02/2016 to ososrugbysub@gmail.com. After the prepayment, the final 100€ can either be transfer to our account or handed in the same day of event.